Alan Shearer selects his Premier League Matchweek 1 Team of the Week. Enjoyed a relatively easy Premier League debut by keeping a clean sheet against West Ham United. Tougher tests to come. Involved in the opening goal and could have scored himself from a free-kick. Did well defensively against the lively Felipe Anderson. Another typically calm and assured performance from the Manchester City centre-back. Helped City make a perfect start to their defence of the title. Could have scored but for a brilliant save from Petr Cech. Offered an attacking threat all afternoon for Chelsea, winning a penalty which Jorginho scored and also hit the bar. Showed energy and skill in a brilliant Premier League debut. Drove Liverpool forward. 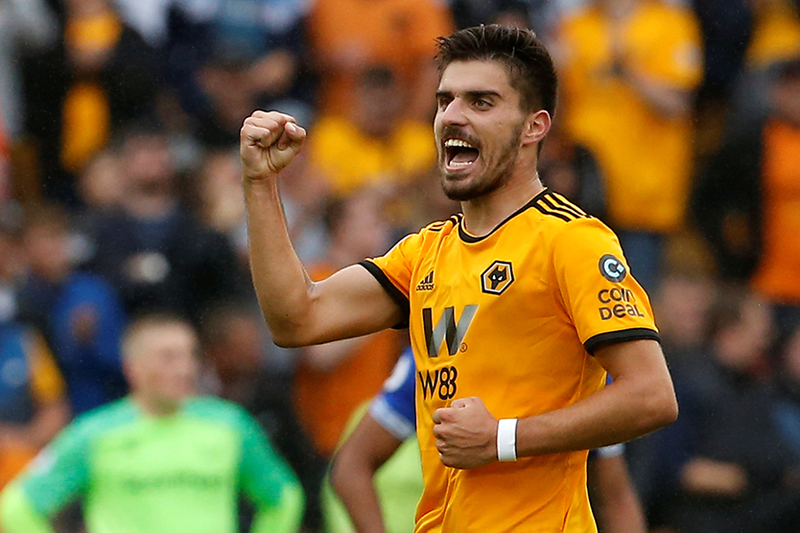 The Wolves star looked totally at home on his Premier League debut. Scored a brilliant free-kick and displayed a wonderful array of passing. Maurizio Sarri's formation allowed him to play further forward and he thrived, scoring once and could have had another. Under pressure to deliver following his large transfer fee but responded in style with two brilliant goals for Everton. Started this season where he left off last year. Two goals in another eye-catching performance. One-season wonder? No chance. Only took him 19 minutes to get back into the groove. His team played with energy to record a great win on the opening weekend of the season.